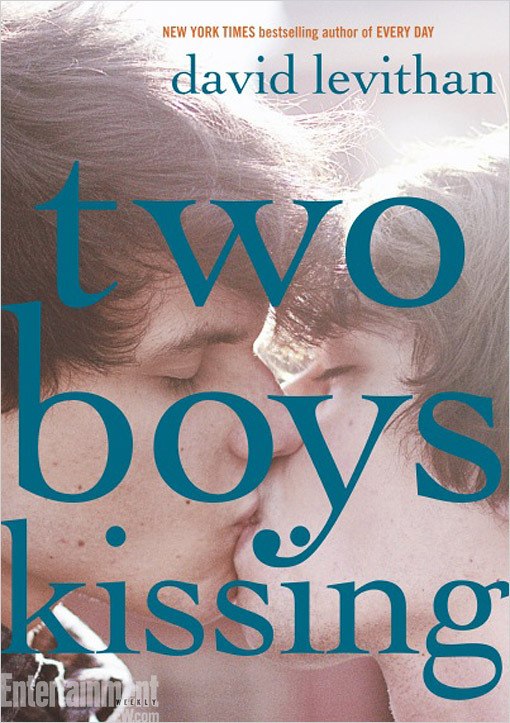 I kind of think the title for this book speaks for itself, and the cover would surely disappointing if it didn't actually show, well two boys kissing... right? It's due out in August and sounds great so check out the cover and synopsis below! "New York Times bestselling author David Levithan tells the based-on-true-events story of Harry and Craig, two 17-year-olds who are about to take part in a 32-hour marathon of kissing to set a new Guinness World Record—all of which is narrated by a Greek Chorus of the generation of gay men lost to AIDS. While the two increasingly dehydrated and sleep-deprived boys are locking lips, they become a focal point in the lives of other teen boys dealing with languishing long-term relationships, coming out, navigating gender identity, and falling deeper into the digital rabbit hole of gay hookup sites—all while the kissing former couple tries to figure out their own feelings for each other. This follow-up to the bestselling Every Day showcases David's trademark sharp-witted, warm-hearted tales of teenage love, and serves as a perfect thematic bookend to David's YA debut and breakthrough, Boy Meets Boy, which celebrates its 10th anniversary in 2013."